Find your pattern! 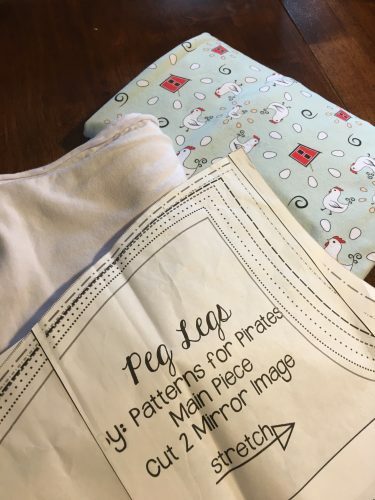 My go-to leggings pattern is the Peg Legs pattern from a company called Patterns for Pirates (they have a coupon code in their Facebook group to get the Peg Legs pattern for free.) 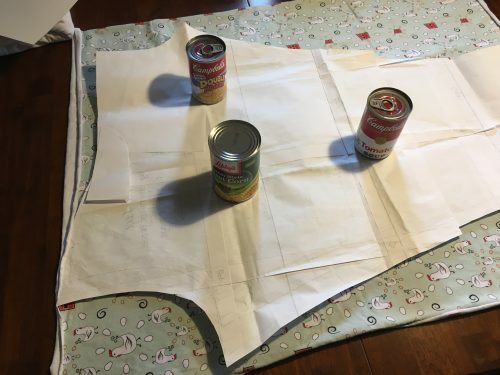 I’ve used the pattern before and found the directions easy to follow. 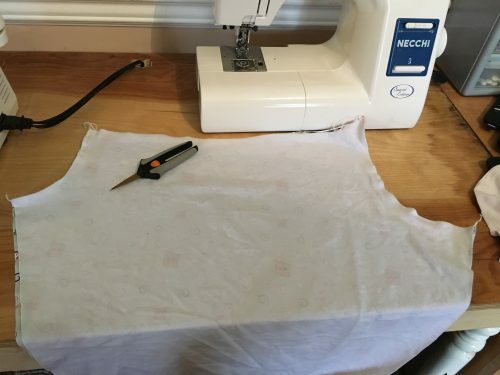 I folded the fabric in half before cutting so I’d end up with a left and right side. Like my fancy pattern weights? They keep the pattern from shifting while I cut. 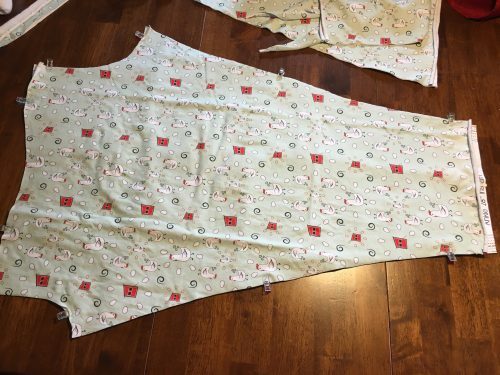 My daughter couldn’t see how I’d get a pair of leggings out of this piece of fabric. 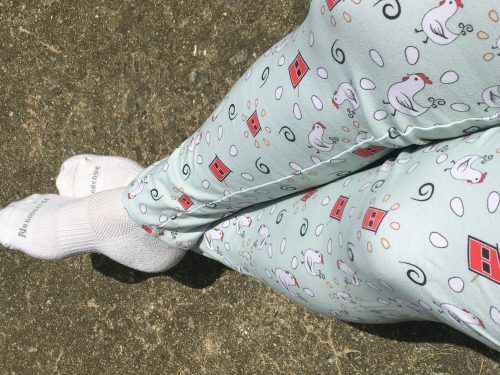 However, the chicken leggings appear just like magic in just a moment! 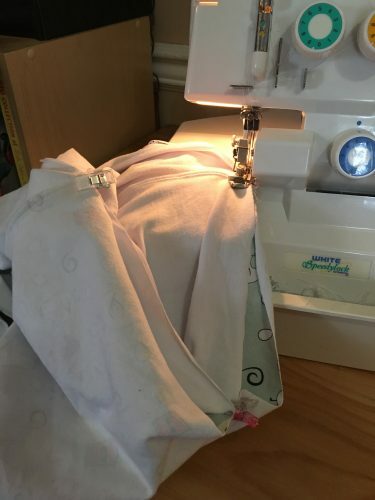 These small side seams I’m sewing up are actually the front and back seams. 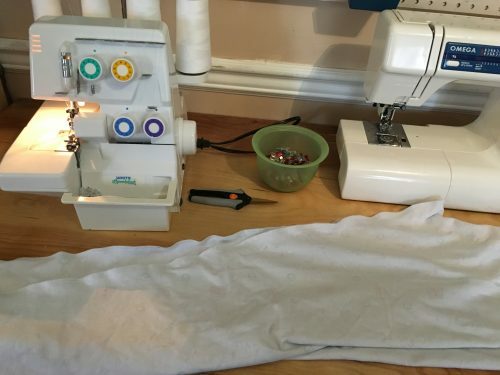 So when you put these seams in the front and back like they belong, the legs appear. Presto! I started at one ankle and serged up one leg and down the other—they’re really starting to look like chicken leggings now! 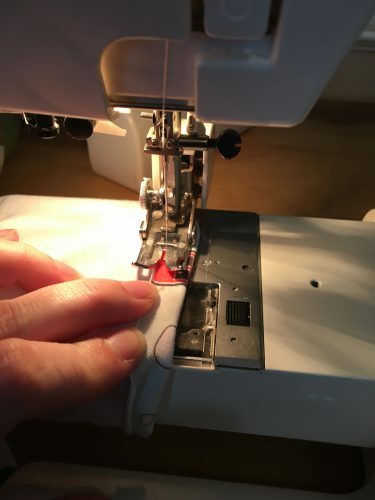 Many seamstresses hate hemming, and I’m one of them! I tend to make myself do it in the middle of the project or I’ll be too excited to wear them to stop and do it at the end. 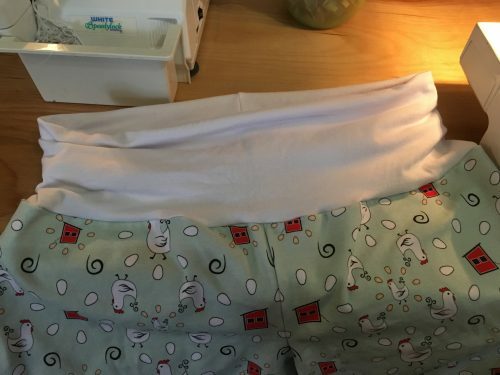 These chicken leggings will just be the cutest! 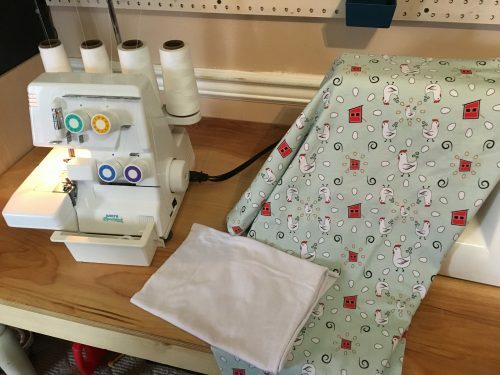 I love that there are cheery little coops in the fabric pattern, too. 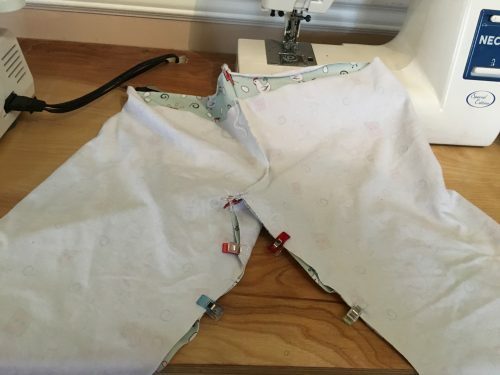 The pattern I use allows for a choice between a regular waistband and a yoga waistband, and I chose to do a yoga band. 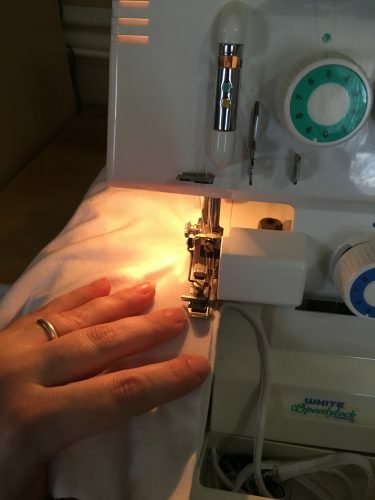 Here I am making that last seam to attach the waist band! Done! 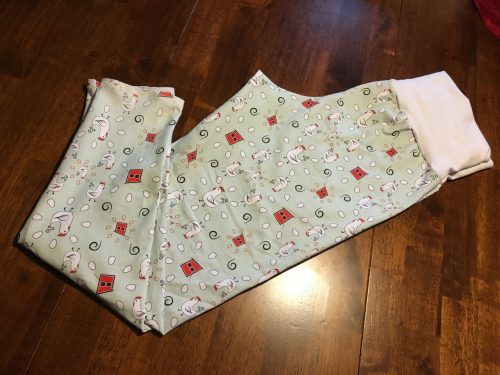 Chicken leggings for this crazy chicken lady. 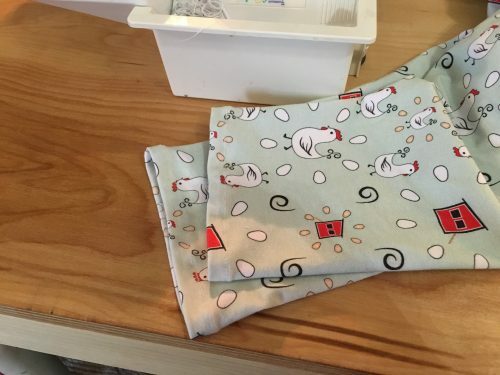 Have you found any cute chicken fabrics? Please share your favorites! « My Chicken Ate My Earring!